Large square stone carved garden well with acanthus leaves decorations. Each side brings lion head masks engravings, customized with the family crest. On the top of the well a ropes detail is carved all around the square area. The original stone well is placed near San Marco square, in the Venice area. 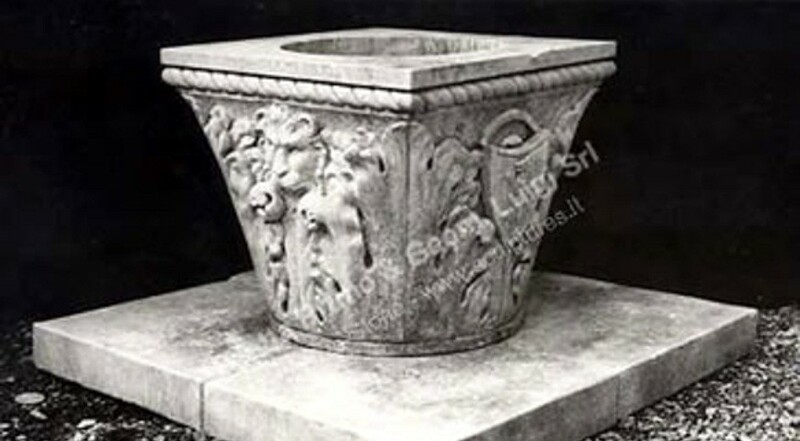 The antique name for this type of well is "vere da pozzo", a particular solution without wrought iron or portal.